Artist's book with 10 original prints that combine photo-etching and aquatint; with each print printed from 2 or three plates that all have been laser-cut to specific shapes. The images, that all are based on existing work by JS in other media, alternate in the book with a series of years, printed with lead-type. The book is bound in black leather, and comes in a cassette. Size 41x31 cm. 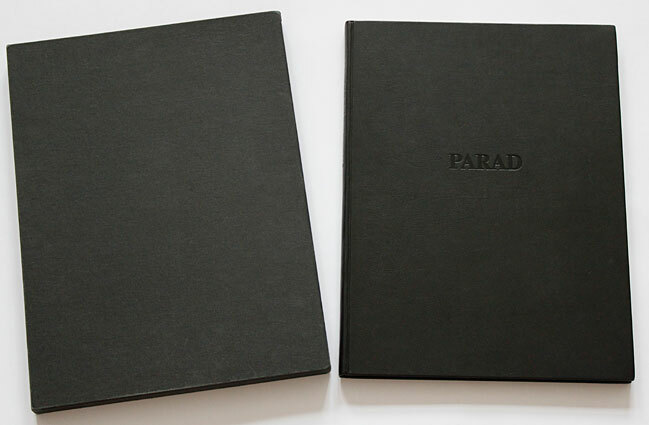 Edition 1-25 + I-V, all books signed & numbered by the artist. Paper 250 g Zerkall Bütten. Published by the Anders Tornberg Gallery, Lund, in connection with the exhibition at the gallery in 1991. Etchings printed by Michael Schäfer at Niels Borch Jensen Værksted for Kobbertryck, Copenhagen. Laser-cutting of plates: Veta A/S, Herlev. Bookprint: Chr Jørgensen's Bogtrykkeri, Copenhagen. Binding: Leonard Gustafssons Bokbinderi AB, Stockholm. This book is meant to be browsed through in sequence: start here.